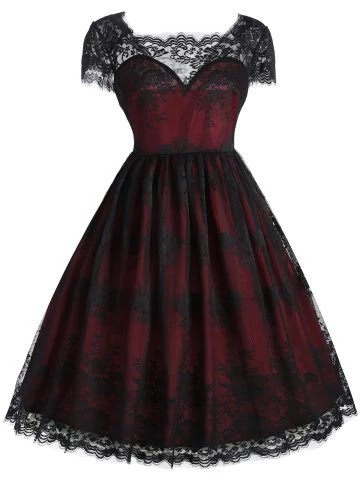 If you're into pin-up and vintage dresses you have to check out their square neck dresses, and these are my favourites, but you can find more on their website. Well the first one is just a simple vintage dress, but the second one looks more goth and vampirish to me. 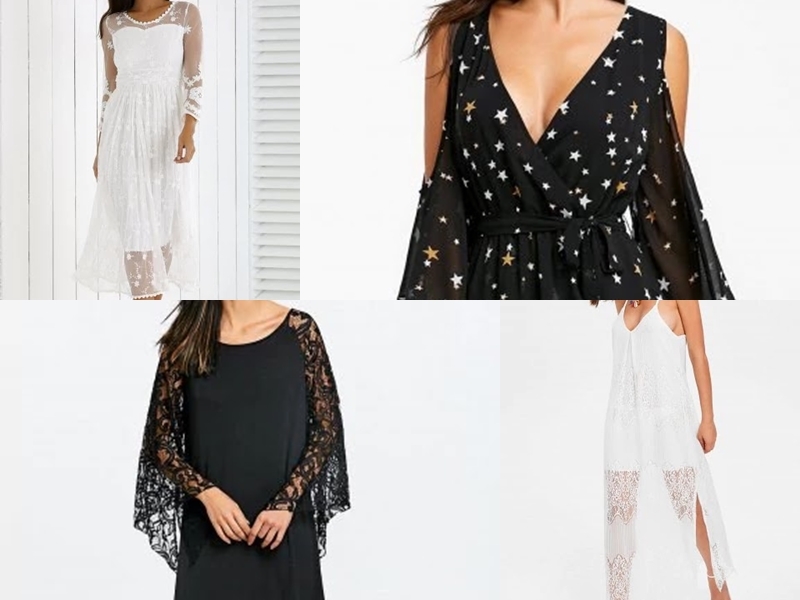 I really need some long dresses, and here are some that caught my attention...White with lace is one of my favourite combinations and I always wanted something like this but never found it. 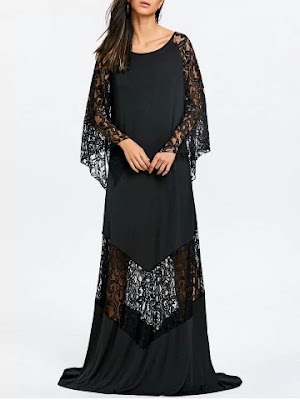 They're both a perfect thing to wear during summer and to a beach, and they would definitely look wonderful with some cute silver or gold jewelry. Black lace is always a great choice too, and I'm in love with this witchy dress, also the bottom is very interesting. I can already imagine it with my favourite black hat and some dark makeup. 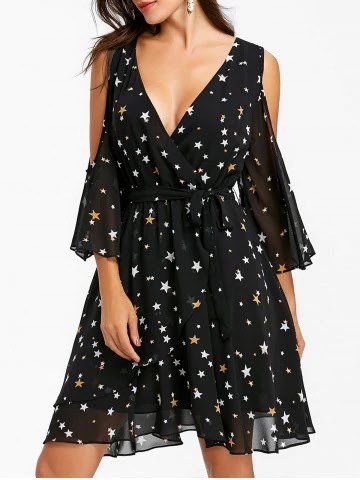 I love dresses with stars, but this one I chose because I love the style, the neckline and sleeves look beautiful. It's just stunning! 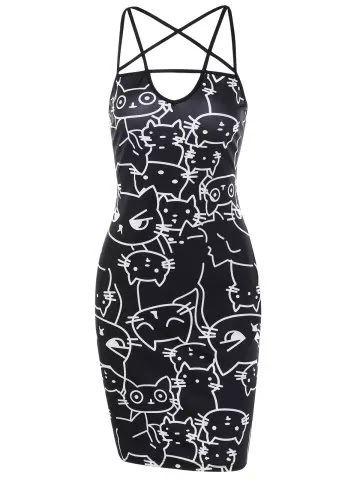 I already have leggings with this print, and believe me they look even better than online. 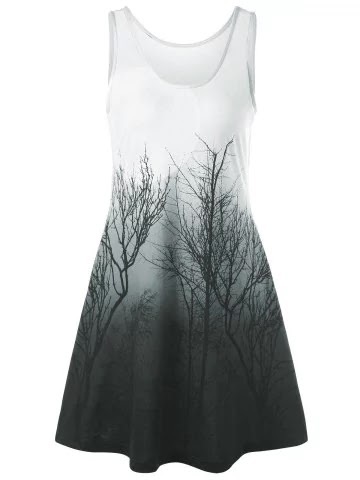 I'd love to wear this dress with black socks and some cool boots. I'm not so into cat prints, but this dress is too cute and looks like something you would find on Killstar, probably because of the straps that are in the shape of a inverted star. Such lovely laces! I wish I can have all of the blank ones someday. 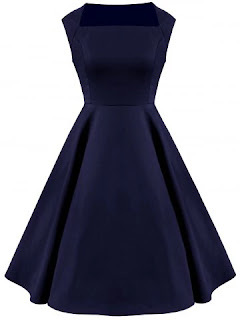 Beautiful post!All the dresses looks so elegant. Great selection of Rosegal outfits. Great selection!Lovely outfits you have there. Keep posting! The vintage square neck is very elegant. The color is so lovely too.